It’s been a long, hot day, and this modern American cowboy has earned his rest and his beer. 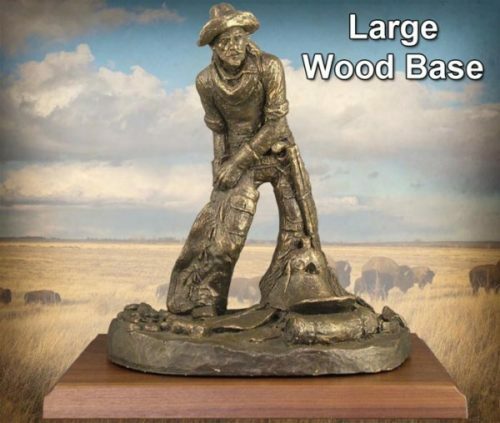 This handmade sculpture by Michael Garman honors the hardworking men of the American west. 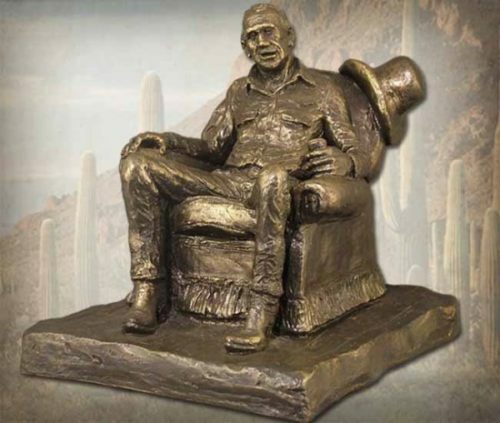 Sculpture measures 7″ tall. ©1973. Bronzetone finish. #MG006. 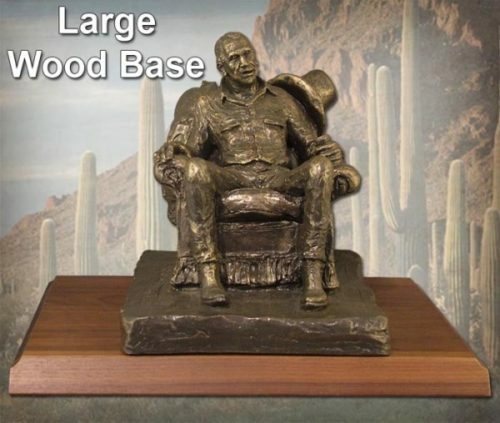 Upgrade your sculpture with a large wood base. See suggested wood base options below.